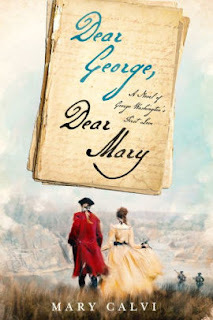 Synopsis: Dukes’s gripping historical novel tells the tale of a desperate Albanian woman who will do whatever it takes to keep her independence and seize control of her future…even if it means swearing to remain a virgin for her entire life. My Review: Eleanora dreams of leaving her home in Albania and go to an art school in Venice. Her father decides to help her out. They take a trip to a nearby city to visit a priest who will help Eleanora get into the art school she desires. After a successful meeting with the priest, who reassures her that she will be accepted into the school, Eleanora’s dream is now within her grasp. Her dream shatters when Eleonora's father is shot. Eleanora returns home, where she discovers that she and her step-mother, Meria, are poverty-stricken. 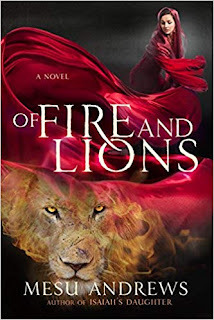 Because they are on the verge of starvation, Meria sells Eleanora into a marriage with the cruel son of a powerful clan. To prevent her marriage from happening, Eleanora takes the oath to remain chaste for the rest of her life. Becoming a sworn virgin gives her the freedom of living like a man as long as she keeps her vows. If she does not follow the oath and marries, then the family whom she was once engaged to has the right to kill her. After saying the oath, Eleanora goes after her father's killer. One day, Eleanora stumbles upon an injured man. As she nurses him back to health, she finds herself falling in love with him and is conflicted to keep her vows. I really like Eleanora. She was a strong woman. She was very spirited and independent. She was also very idealistic. I felt sorry for her when her dreams shattered because of her father’s murder. At first, Eleanora was set against becoming a sworn virgin, but because she did not want to marry her fiance because of his cruel nature, she is forced to become one. Thus, I found Eleanora’s transformation into a sworn virgin to be intriguing, and I liked reading more about Eleanora’s story after she changed her oath. Eleanora did a have a few faults. She had a grudge. I also didn’t like how she treated Meria after she sold her because the reader sees the situation from Meria’s eyes. Overall, this book is about independence, determination, and duty. The message of this book is to be yourself. The characters are well-developed and very likable. The story is very well-written. I loved the setting of Albania. This was a very unique setting, and I had never read a book set in this country before. I thought the author did a great job in portraying the sworn virgins, and the dangers they face if they forsake their vows. The story started out slow, but picked up speed halfway to the end. I really adored the ending. Therefore, this novel is a perfect read for a lazy Sunday afternoon. I recommend The Sworn Virgin to fans of A Woman’s Choice, Maud’s Line, and Go Away Home. Kristopher Dukes was born and raised in Los Angeles, California. She has been a nationally published writer since she was in high school. Her work has been featured in the bestselling book series Written in the Dirt and fashion bible WWD. She has been profiled in Vogue.fr, NY Times.com, Fast Company, Forbes.com, and WWD. 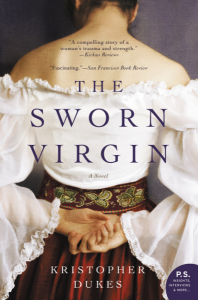 The Sworn Virgin is her debut novel. She lives in Manhattan Beach, California, with her husband, Matt, and Doberman, Xena. I'm so glad you enjoyed this book! Thanks for being a part of the tour.